Immerse yourself in the serene atmosphere of our oceanfront rooms and suites with contemporary Asian decor and local wood furnishings. Gaze out onto the spectacular waters of Philippine Sea from your private balcony. Slip on your bathrobe and cotton slippers, grab a mineral water from your refrigerator, and order room delivery service for a relaxing dining overlooking the sand and sea. Enjoy the ultimate family vacation in the Mariana Islands and experience the beauty and tranquility of this tropical paradise. 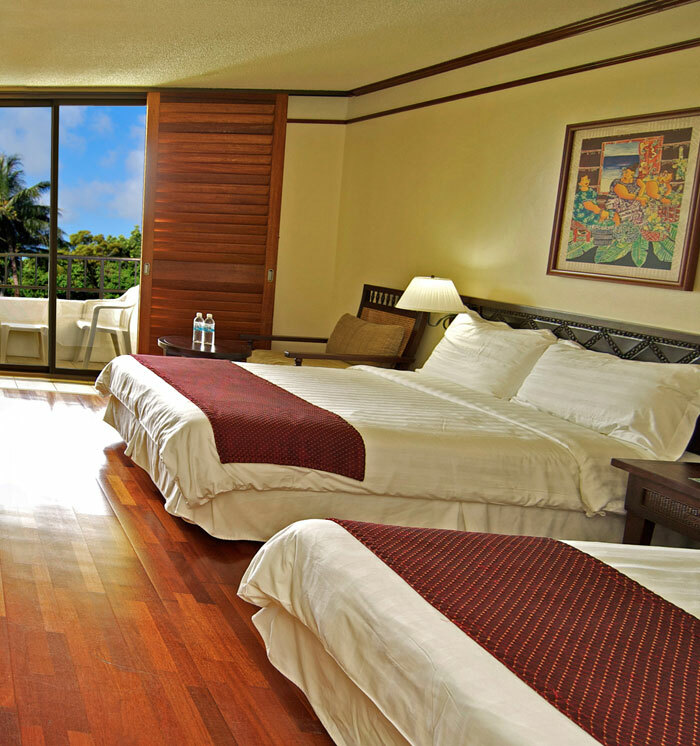 Experience Saipan's sunsets from this luxury suite with a furnished balcony. Rest easy in the king-size bedroom and living room with a couch, dining table, and wet bar. 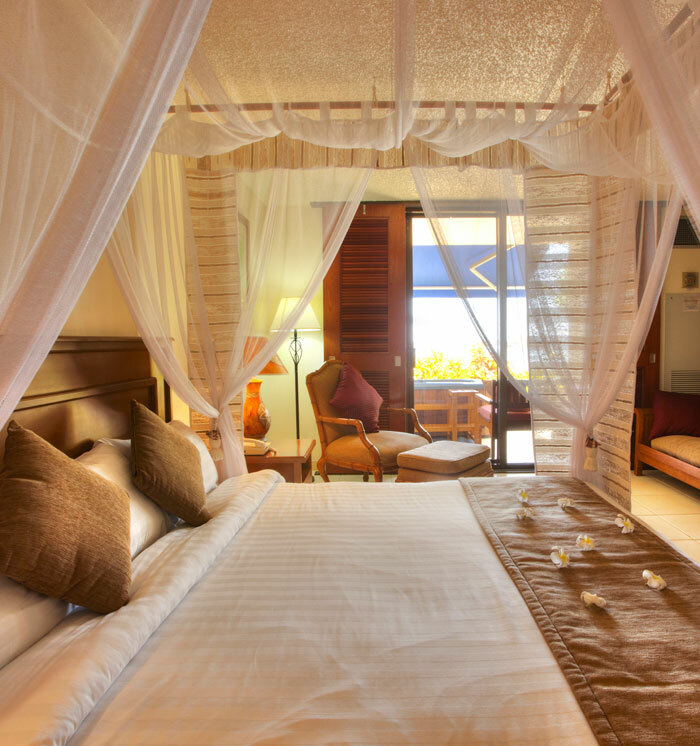 Wake up to sea vistas from his lovely suite with a king bed and spacious living room. Sit on your private balcony and unwind after a day at the beach. Soak in the tropical atmosphere of the Pacific Islands from your own outdoor spa. 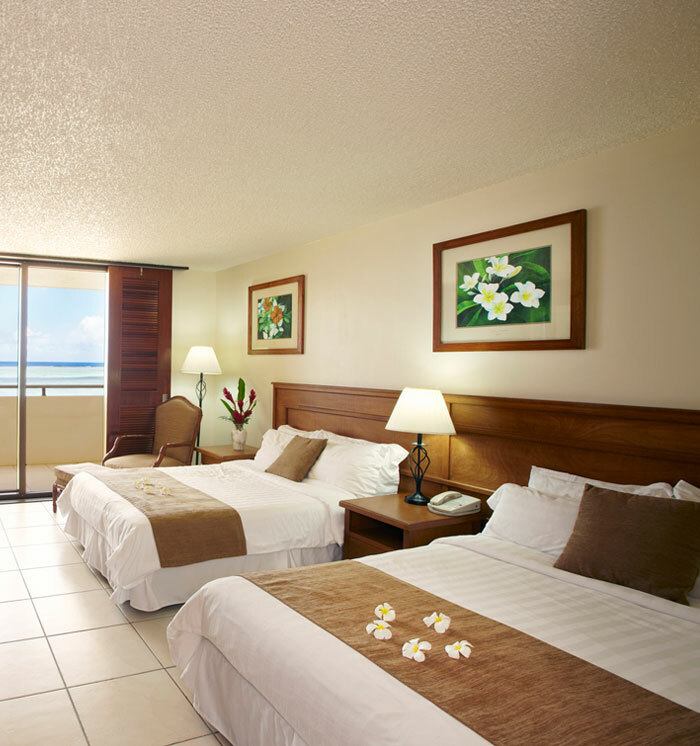 Enjoy a relaxing getaway in this lovely room with a seaside terrace. Gaze out onto the tranquil Philippine Sea in this relaxing room with two full-sized beds or one king bed and a futon couch. Enjoy tile floors, soft duvet bedding, upgraded decor, and amenities including nightly turndown service. 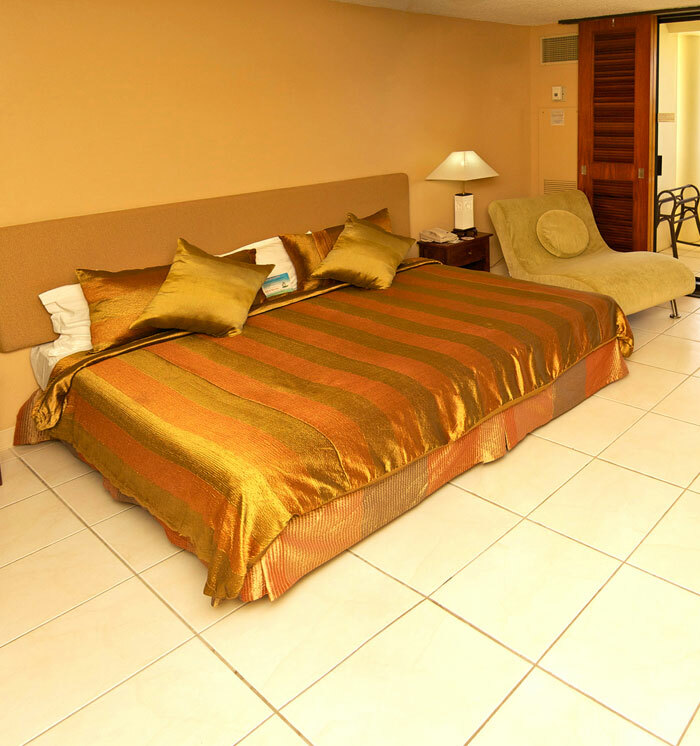 Facing the Waterpark, these resort rooms have one king bed or two full sized beds and a futon couch. Slip on a bathrobe and delight in Asian decor including handmade Indonesian wood furnishings and daily mineral water service. 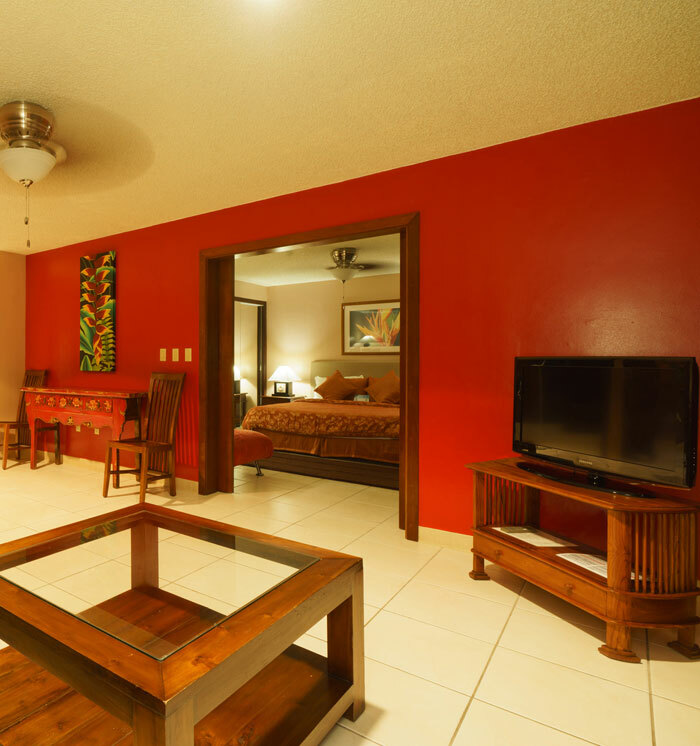 Revel in the beautiful scenery of Saipan with serene mountain or garden views. 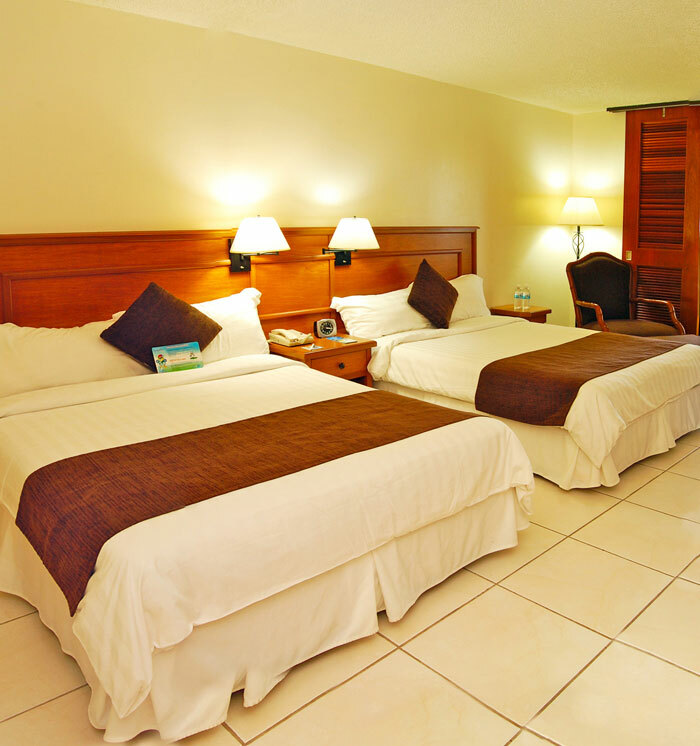 These rooms have comfortable beds and a couch with soft tropical touches like handmade wood furniture. Guests can enjoy mineral water upon check in. Revel in the colorful world of our beloved mascot Siheky! These generously appointed rooms will be like heaven for your little ones. 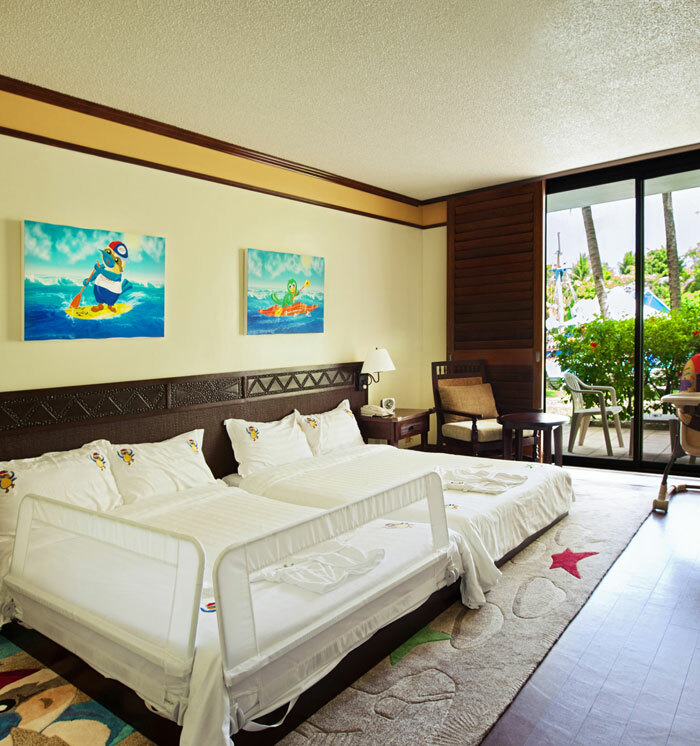 Boasting family-friendly amenities, these rooms embrace the spirit of our Pacific Islands resort.